The U.S. government should be forced to reveal how much the FBI paid for tools to unlock an iPhone at the center of the San Bernardino shooting investigation, three major news organizations insisted to a judge on Monday. There is "no adequate justification" for the FBI to continue withholding basic information about the tool, such as how much it cost the bureau and the identity of the company that provided the tool, which may have helped law enforcement agents gather evidence from the San Bernardino shooter's iPhone 5c. CBC reports the requests are said to be specific enough that they could not jeopardize national security, by being exploited by enemies of the United States. The trio of news establishments, consisting of the Associated Press, USA Today, and Vice Media, have already petitioned the court for information about the purchased hack, previously suggesting in September the acquisition raised issues about the use of public funds, government oversight, and ethical considerations when dealing with "groups of hackers with suspect reputations." The latest court request narrows the breadth of the request, simplifying the query down to the price and source of the hack. The previous request asked for what some would consider to be sensitive security details, including the method for the hack. Last month, the U.S. Justice Department released heavily redacted records from the transaction, censoring the source and cost along with other sensitive data, with the government arguing the information could be used by hostile forces to develop "countermeasures" against FBI intelligence work. According to the Justice Department, the disclosure would "result in severe damage to the FBI's efforts to detect and apprehend violators of the United States' national security and criminal laws." The news organizations did not want the sensitive information relating to how the hack worked, the latest court filing advises, claiming the government is improperly invoking national security exemptions to the Freedom of Information Act to hide this data. "Release of this information goes to the very heart of FOIA's purpose, allowing the government to access government activity - Here, the decision to pay public funds to an outside entity in possession of a tool that can compromise the digital security of millions of Americans," writes lawyers for the media companies. The amount the FBI is believed to have paid for the San Bernardino iPhone hack is unknown, but considered to be high. In early 2016, FBI director James Comey suggested the agency paid more than $1.34 million to hack in to the iPhone 5c, but a later report claims the FBI paid a figure less than $1 million for the tool. 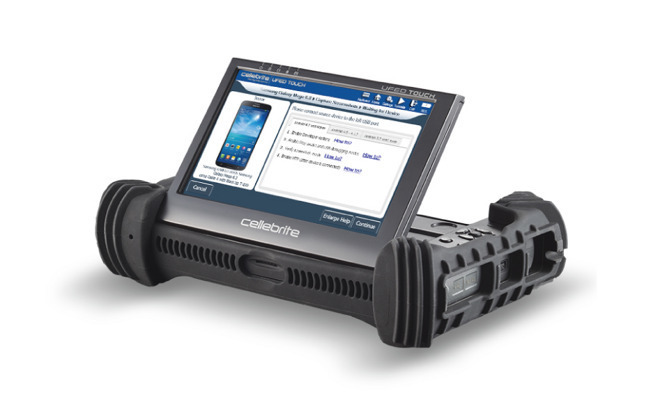 It is currently believed the FBI sourced the tool from Cellebrite, an Israeli digital forensics firm that offers a product called the Universal Forensic Extraction Device (UFED) to law enforcement agencies, used to extract data from smartphones. Earlier this year, the company was itself victim to a hack, with a cache of files acquired in a server breach later revealing some of the tools Cellebrite used in its work.